Whatever art trend you’re in love with, channel it through some decor around your home. Design Amore is an online brand that makes-to-order different items and also hosts DIY workshops so you can learn how to add art to your home too. 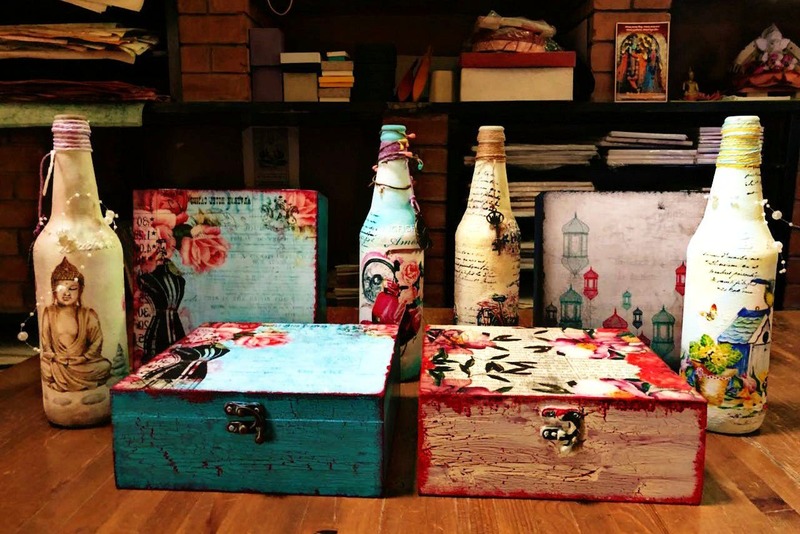 Design Amore loves decoupage, mixed media art and a lot more of other current home decor and art trends. It’s just like Pinterest, except this is in IRL. Their Facebook page will give you a lot of inspo and update you with their latest workshops that you can sign up for. We loved their wood decoupage work. They’ve used it to make welcome plates, wall clocks, trays and what not. It looks rustic, cool and will make your home look colourful and arty. They also design and sell coasters, trays, frames, tiny trunks to store your trinkets in and a lot more. The price range varies according to the product size and the style of art used. Currently, they’re more focussed on hosting workshops. They recently hosted a mixed media art workshop, where they taught how to make frames that would look great adorned your bedroom’s wall. Their last distressed wood workshop had participants making cool wooden trays and the one before that taught you how to make nameplates that were also attached with a mason jar on the side, where you could add a tealight for more decor. The workshops include all the materials you’d need and you can obviously take home your work. The price usually starts at INR 1500. We’d love a dedicated site where they sell their products. Keep an eye on their Facebook page for updates on upcoming workshops.